Childhood is a joyous time, free from worry and responsibility. I wish I could go back to the days of flared jeans and homecut fringes, when I didn't feel the pressure from society to dress or look a certain way. I have recently turned 20 and as pathetic as it may sound, I'm feeling old! And in a bout of reminiscing I decided to raid my room in the hope of finding a childhood treasure. My family was never one to hoard and most of my toys and clothes were inevitably passed onto a cousin or friend, but I found a couple of things that I had obviously deemed worth keeping. So here goes! 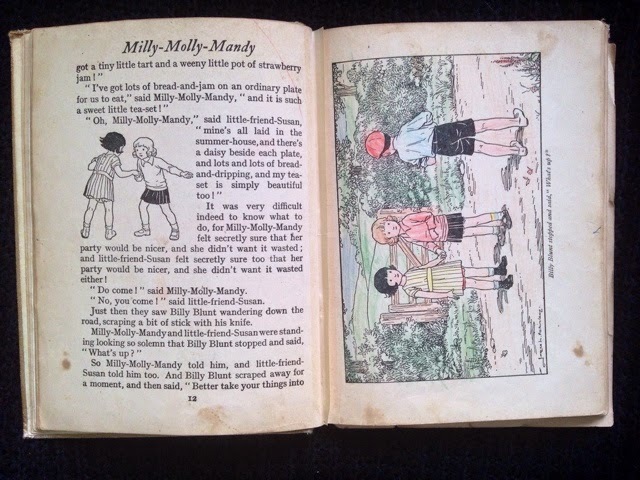 Right so let's start with the book, Milly-Molly-Mandy was one of my all time favourite books as a child, this one had belonged to my grandma and it's safe to say that it must have passed through a few hands before it reached me as it is slowly falling apart! The only thing is I wish I could go back and tell past me not to colour in the pictures, but ah well, atleast it was loved! When it came to children's books, after I read them they were often passed around the rest of my extended family but I always made sure to keep my favourites! 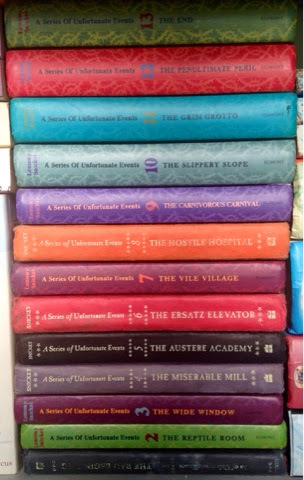 A Series Of Unfortunate Events was one of my favourite sets of books! Lemony Snicket has such a quirky writing style and such an amazing imagination, everyone- child or adult- should give these a go! The reason I chose to keep these was because I had all 13 of them and I'm so glad I did, because recently I went into my local Waterstones and found that the covers had been redesigned- this may sound a bit stupid, but the covers on the books I have are just so beautiful! 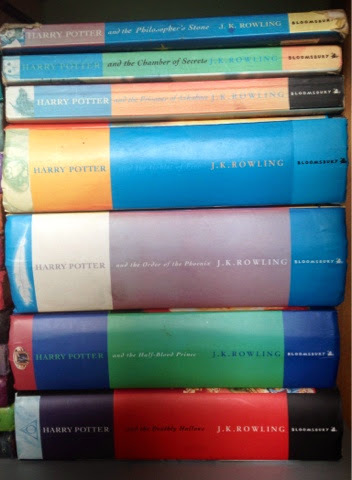 And of course I can't mention my past favorite books without including Harry Potter. I was a pretty big fan (who am I kidding- I still am!) I remember trying to fit them into my book bag so I could take them into school! 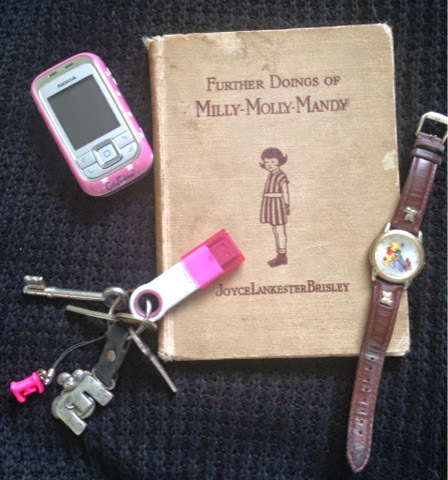 So this may seem like odd items to keep from my childhood, but I had my reasons! This was my first watch, it has Winnie the Pooh on it and a bee marks the second hand. 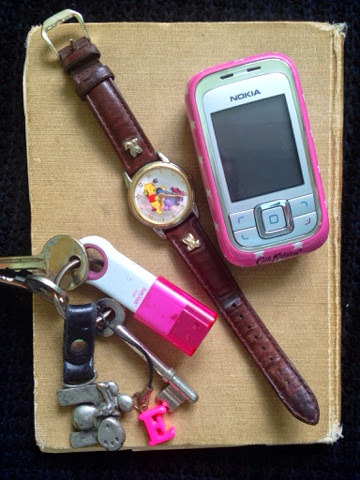 The Nokia phone was a Cath Kidston special edition back when I had a bit of a Cath Kidston obsession- it doesn't work anymore but I can't bring myself to get rid of it! And finally I have my first set of keys- they are of no use anymore as we have since replaced the doors they open but it just reminds of me of starting secondary school and being entrusted with the house keys which was a big deal back when I was 11! Are there any childhood items that you just can't bring yourself to throw away? !